Houston has no shortage of good Mexican food… but which restaurants are the best for families? I asked the BigKidSmallCity community and this is what YOU told me. If you have more suggestions, please let us know! 100% Taquito (I59 near Buffalo Speedway) – Very cool and fun interior with “food truck” windows for ordering food and funky decorations all over. See are very old review HERE! Last Concert Cafe (North Downtown) – Good food, big patio and welcoming staff. El Real (Montrose) – Tex-Mex in an old theater. Check out our review HERE. Skinny Ritas (Main Street/Heights) – Vegetarian, Gluten-Free Friendly and kid friendly. Tacos A Go Go (Heights, Midtown) – Funky, fresh and fun. See our review HERE. La Hacienda (Memorial, Cypress) – Mexican food and a playground! Pappasito’s Cantina (Multiple locations) – Family owned and family friendly. Lupe Tortilla (Multiple locations) – Some of the play areas have disappeared but the location in Stafford, off Hwy 6, still has a play area for kids. Jimmy Changas (Katy, League City, Pearland, Pasadena)- Tex-Mex with large Patio and playground. Las Ventanas (I10 & 6) – Beautiful outdoor garden area with a moonwalk and a playground for kids. 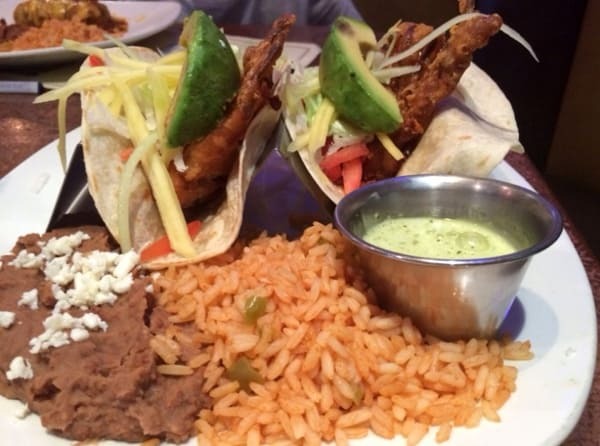 Margaritas (Conroe, Huntsville) – Family Friendly Tex-Mex. Mario’s (Spring) – Family Friendly Tex-Mex.